In The Story of the Jews, writer and presenter Simon Schama gives special billing to the creative drive that has long propelled the Jewish Diaspora. 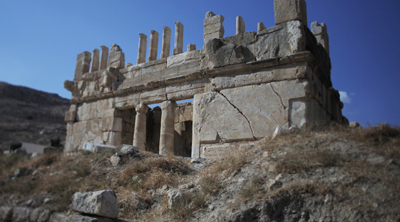 From biblical era storytellers to world-renowned 19th century German composers to Tin Pan Alley’s chart-topping songwriters, generations of groundbreaking Jewish artists, thinkers, writers and musicians have used the power of expression to make sense of 3000 years of Jewish history, experience and migration. Though they might not yet be household names, the ten Jewish-American innovators profiled below, all of them the descendants of immigrants, have undoubtedly left their mark on modern culture. Yip Harburg was born in 1896 on the 6th floor of a walk-up on Allen Street, a cramped, tenement-lined block on New York’s Lower East Side. His parents, Louis and Mary Hochberg, were Yiddish-speaking immigrants from Minsk, a city within the Belo-Russian Pale. Yip, who always dreamed of being a songwriter, penned the 1930 Broadway tune, “Brother, Can You Spare a Dime?” The song, which borrows its melody from a Yiddish lullaby, quickly became the anthem of the Great Depression, and catapulted Yip to fame. Shortly after this breakout success, Yip and his writing partner Jay Gorney were offered a Hollywood contract by Paramount Pictures. In 1938, Yip was hired as a lyricist on Louis Mayer’s new picture, The Wizard of Oz. Working with composer Harold Arlen, Harburg wrote “Over the Rainbow,” the song that came to define the golden age of Hollywood and won the Oscar for Best Song in 1940. 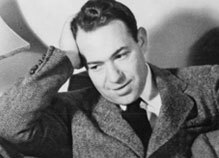 Yip Harburg was featured in the PBS programs Broadway: The American Musical and Great Performances: The Crossover Artists. Conceptual artist Judy Chicago made waves when she coined the term “Feminist Art” while teaching at Fresno State College in the early 1970s. Chicago, who was born Judith Sylvia Cohen in 1939, hails from a 23-generation lineage of rabbis. Her parents, however, chose secular life and their strong Marxist views held heavily influence over Chicago’s work and politics. Her most famous piece, 1979’s The Dinner Party, took five years to complete, employing the assistance of over 400 volunteers and costing $250,000. 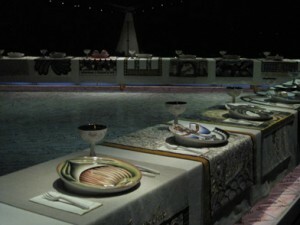 The lavish triangular dining table, currently installed at The Brooklyn Museum, commemorates 39 female figures, both historical and fictional, with individual and ornately decorated place settings. In 1989, Chicago produced The Holocaust Project: From Darkness into Light in collaboration with her photographer husband Donald Woodman. The exhibit spans 3000 square feet and consists of sixteen pieces sourced from tapestry, stained glass, metal, wood, photography, painting and textiles. Judy Chicago was featured in the PBS program MAKERS: Women Who Made America and in a special partner station segment from New Mexico PBS. 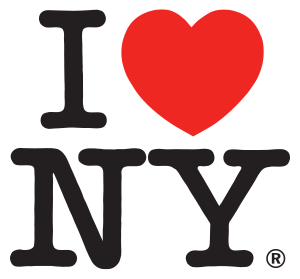 Prolific graphic designer Milton Glaser, recognized world wide for his “I <3 NY” logo, was born in 1929 and grew up in New York City. Young Glaser aspired to become a comic book artist, and studied at the prestigious Cooper Union from 1948-1951. In 1954, Glaser co-founded Push Pin Graphics magazine, putting forth a design form that resisted popular precisionist notions and instead favored an iconic approach that merged historical reference with strong illustration and vintage typography. In 1968, Glaser set his aesthetic eye on mainstream publishing, co-founding New York Magazine with Clay Felker. To date, Glaser’s most famous design works include Bob Dylan’s colorful “Greatest Hits, 1975” poster, Brooklyn Brewery’s “B” logo, PBS branding and the DC Comic’s bullet logo. Milton Glaser was featured in the PBS program NOW with Bill Moyers. 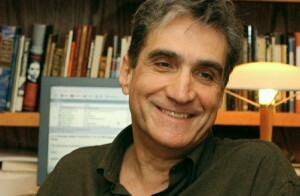 Essayist, critic and poet Robert Pinsky was born in Long Branch, New Jersey in 1940 to middle-class Jewish-American parents. After publishing his first work, “Landor’s Poetry,” in 1968, Pinsky was awarded a prestigious National Endowment for the Humanities Fellowship. In 1997, he was named the U.S. Poet Laureate and Consultant in Poetry to the Library of Congress, and went on to serve three terms, the most of any Poet Laureate. Pinksy has written 19 books, including the critically acclaimed translation, “The Inferno of Dante: A New Verse.” As Laureate, Pinsky founded the Favorite Poem Project, a forum for thousands of Americans from varying background to share their favorite poems. Robert Pinsky was featured in the PBS program PBS Newshour. Dancer and choreographer Pearl Lang came of age during the Great Depression in Chicago. In 1941, she moved to New York where she studied closely with prominent modern dance choreographer Martha Graham and later joined the Martha Graham Dance Company. 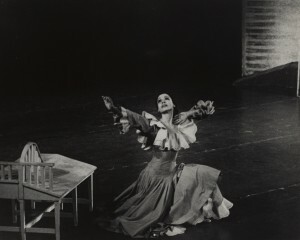 Lang was the first woman to dance Martha Graham’s signature roles in seven different Graham dances, which she performed for over 30 years to countless audiences. In 1952, Lang formed her own company, The Pearl Lang Dance Theater, choreographing 63 pieces, over half of which were expressly based on Jewish themes. Her works have been performed the world over and she has been awarded numerous distinctions, including two Guggenheim Fellowships, The Workmen’s Circle Award for contribution to Jewish Culture, the Achievement Award from the Artists and Writers for Peace in the Middle East and the Achievement Award from the Congress for Jewish Culture. Pearl Lang was featured in the PBS program Great Performances: Free to Dance. Born to a Southern Jewish family in New Orleans at the turn of the 20th century, Lillian Hellman grew up to be one of the most accomplished, if controversial, female playwrights of her time. As a child, Hellman often traveled between New York and Louisiana and the clashing cultures deeply influenced her later work. Her drama, The Children’s Hour, premiered on Broadway in 1934 and ran for almost 700 performances. Though a severely edited version of the play was adapted in 1936 under the name These Three, the most famous film rendition of The Children’s Hour came in 1961, starring James Garner, Audrey Hepburn and Shirley MacClain. Hellman was also a political activist with strong socialist ties, an association that brought her before the House Un-American Activities Committee in the 1950s. Despite the controversy, Hellman continued to write, publishing plays, screenplays, memoirs and a novel before her death in the late 1980s. Lillian Hellman was featured in the PBS program American Masters. 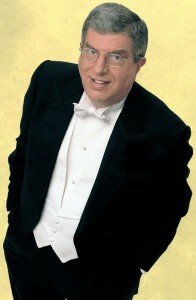 Composer, pianist and conductor Marvin Hamlisch is one of only 12 to win the “EGOT” – an Emmy, a Grammy, an Oscar and a Tony – in addition to two Golden Globes and a Pulitzer Prize. He was born in New York City to Austrian-Jewish immigrant parents. His family was very musical – Max Hamlisch, Marvin’s father, was an accordionist and bandleader, and young Marvin was a musical prodigy. At seven, he was accepted to the Julliard Pre-College program, launching an impressively prolific career that spanned six decades. Hamlisch wrote the music for the hit musicals A Chorus Line, They’re Playing Our Song, The Goodbye Girl and Sweet Smell of Success. He also produced more than forty film scores, including Oscar-winning compositions for The Way We Were and The Sting. His other notable scores and adaptations include Sophie’s Choice, Ordinary People, Three Men and a Baby, Bananas and Ice Castles. Marvin Hamlisch was featured in the PBS programs Marvin Hamlisch: What He Did for Love on American Masters and Broadway Musicals: A Jewish Legacyon Great Performances. 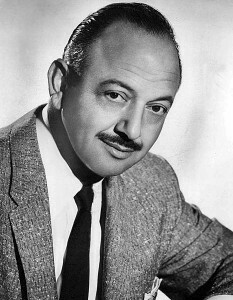 Mel Blanc was featured in the PBS web series MediaShift: Your Guide to the Digital Media Revolution. 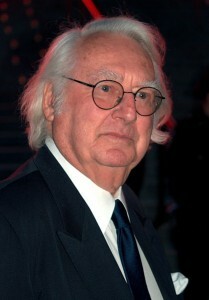 Award-winning architect and abstract artist Richard Meier was born in 1934 to a middle class, Jewish-American family in Newark, New Jersey. After graduating from Cornell in 1957, Meier embarked on an educational journey to view the great architectural feats of Europe and Israel, then returned to New York to open his own practice. In 1972, he was identified as one of The New York Five, praised for his innovative geometric and uniformly white style. Meier is most famous for designing museums and arts institutions, including the Getty in Los Angeles, Spain’s Barcelona Museum of Contemporary Art, The Paley Center for Media in Beverly Hills, Rome’s Ara Pacis Museum and the High Museum of Art in Atlanta. Richard Meier was featured in the PBS program State of the Arts on partner station NJTV. Novelist Anzia Yezierska immigrated to the United States from Poland at ten years old, settling with her family in the tenement slums of New York’s Lower East Side. In an effort to assimilate, the Yzierskas changed their surname to Mayer, and Anzia adopted the name Harriet, or Hattie, as her first name. As an adult, however, Anzia reclaimed her birth name, foreshadowing the struggle with religion, ethnicity and identity that thematically dominated her writing. Her work focused on the immigrant story, and draws heavily from personal experience and perspective. Her most celebrated novel, Bread Givers, follows a troubled young Orthodox woman as she fights to make a place for herself in modern America. 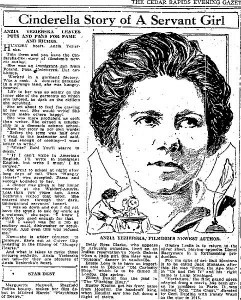 In the early 1920s, Samuel Goldwyn took interest in Yezierska’s short stories and offered her a screenwriting job in Hollywood, where she was dubbed “The Sweatshop Cinderella” by the press. Anzia Yezierska was featured in the PBS programs The Jewish Americans and American Experience: Triangle Fire. Find educational resources related to this program - and access to thousands of curriculum-targeted digital resources for the classroom at PBS LearningMedia. The Story of the Jews with Simon Schama is made possible by lead funding from The Paul & Irma Milstein Family. 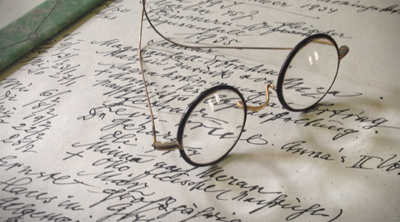 Major funding is generously provided by The Polonsky Foundation. Additional major support is provided by The Pershing Square Foundation, the Joseph S. and Diane H. Steinberg Charitable Trust, James and Merryl Tisch, Mortimer B. Zuckerman, the David Berg Foundation, Mr. and Mrs. Daniel Rose, and the Lemberg Foundation. Support is also provided by the Corporation for Public Broadcasting and PBS. © 2014 WNET. ALL RIGHTS RESERVED. 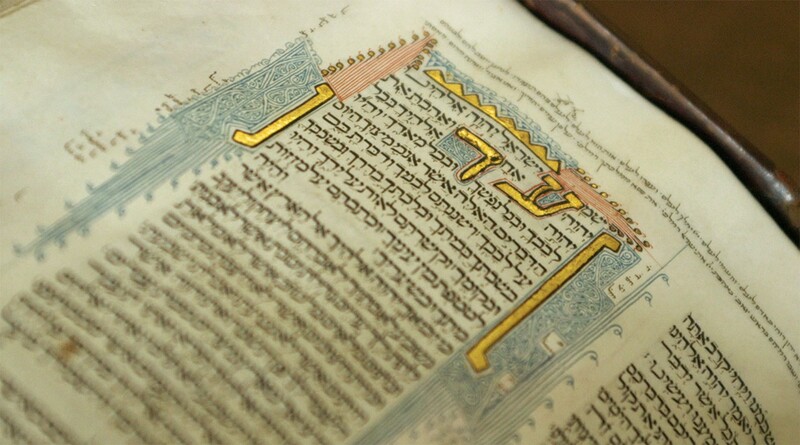 THE STORY OF THE JEWS IS A SERIES WRITTEN & PRESENTED BY SIMON SCHAMA BBC, THIRTEEN PRODUCTIONS LLC.